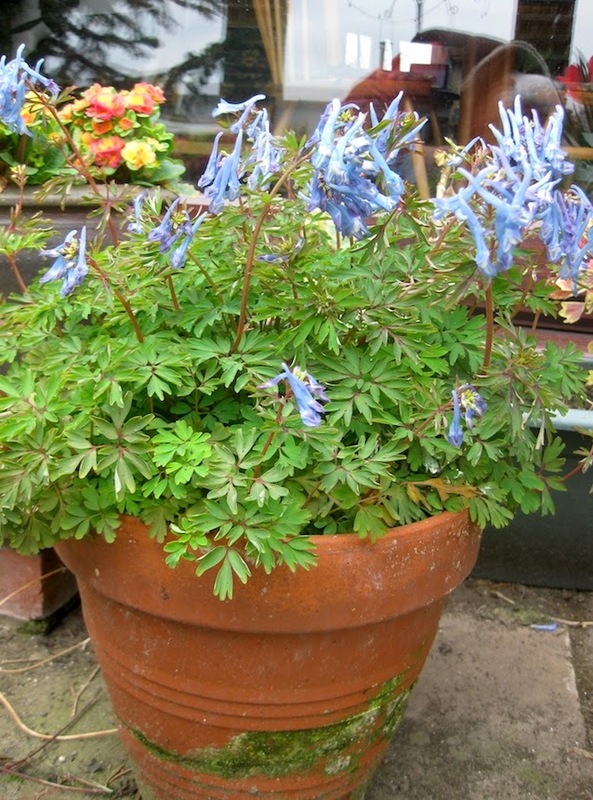 How to grow Corydalis flexuosa or perhaps try Corydalis elata instead! About twenty five years ago this exciting new herbaceous perennial was introduced from China and created quite a stir. 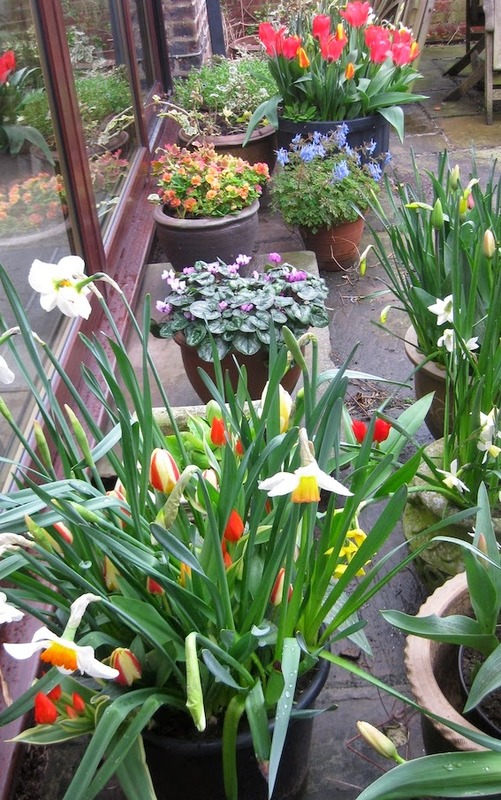 I used to help man the Askham Bryan College stand at the renowned Harrogate Spring Flower Show. Each year people would depart through the gates with armfuls of this wonderful plant. They were almost all destined to die. (The plants I mean, although we all go in the end!). We used to call certain subjects ‘nurseryman’s plants’ because they were easy to propagate and were so beautiful that when the customer wrongly blamed their own incompetence when they died they bought some more. People catch on and you never see Corydalis flexuosa at the show anymore. Before writing this post I thought I would check out existing cultural advice on the world wide web. There is nothing to tell you why they are difficult to grow! The key factor is that they need to be grown in a pot. Then they are easy! My pot grown Corydalis have flowered freely for a six to eight week period between January and May for twenty years now. 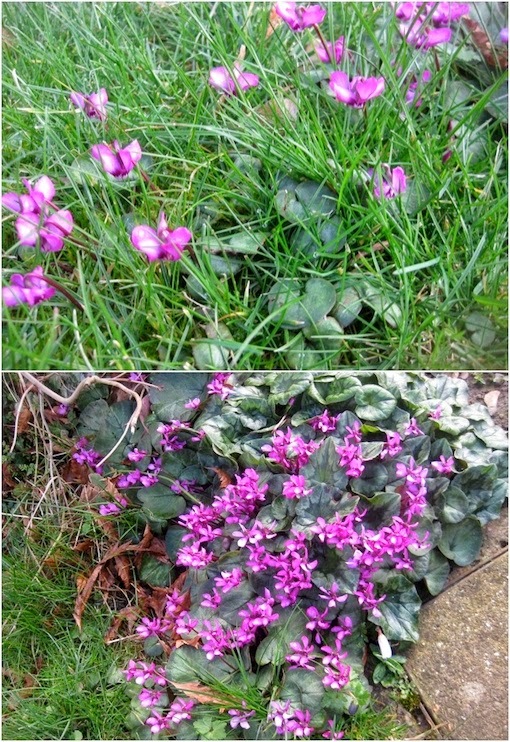 (It depends on the winter weather exactly when it comes into flower). Every time I try popping a few in the ground they die the following summer. Now here’s the thing, all my tub grown plants are outside throughout the year and contain merely my own fertilised acid garden soil. When I lived in Bolton Percy, where the soil is slightly alkaline I grew them in tubs of multi-purpose peat based compost fortified with extra slow release fertiliser. 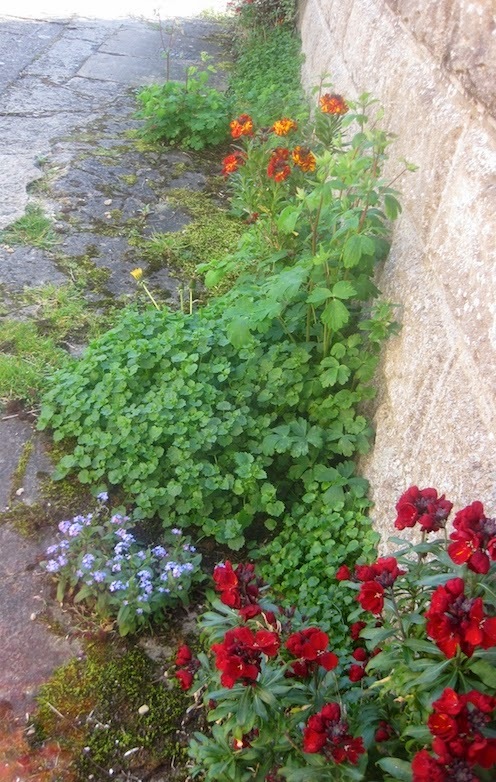 I understood at that time that my blue corydalis needed acid soil and I omitted any lime. This is not confirmed by the literature that says they can be grown on acid, neutral or alkaline soil. I wondered why such advisory sites just do not just say the pH does not matter! Perhaps they don’t know? What is special about growing in pots? I have concluded that it is regular summer watering that prevents them drying out. In late Spring Corydalis flexuosa dies down and goes dormant for about six months. Their perennating vegetative structures are shallow surface rhizomes, These are extremely delicate and if they dry out the plant dies. We get long periods of irregular drought here in York but my pots of dormant plants in my little nursery next to my greenhouse get a splash of water every time I water! In the open ground when dormant, one forgets where they are and neglects to water them when they need it. Worse, as I have explained in a previous post my own sandy soil is hydrophobic when dry and the water runs away, but significantly not in pots where it is retained by the rim and soaks in. You never stop learning in gardening. In writing this post it occurs to me that if my reasoning is correct and my success in pots is because the rhizomes do not dry out in summer then there might be another answer. What if I plant Corydalis flexuosa under a two inch gravel mulch? A little project this year! 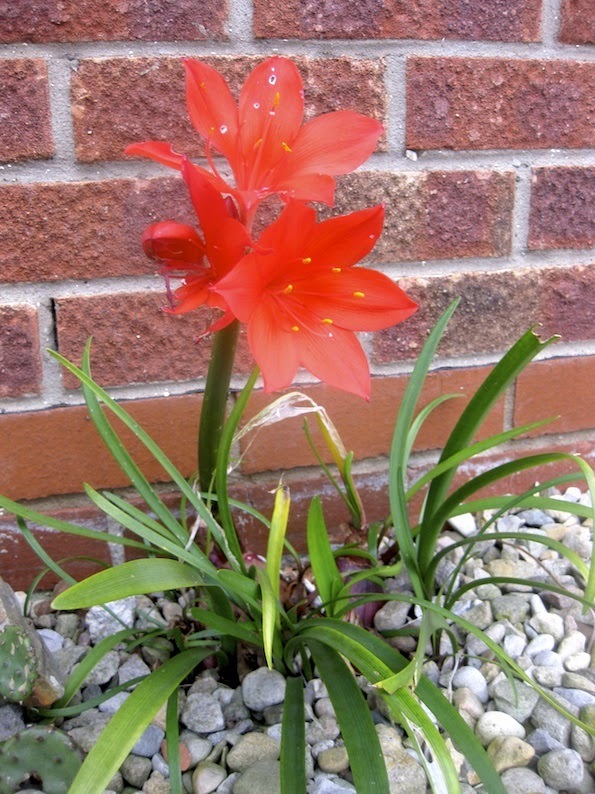 Hot off the press I have noticed today a small plant flowering in the leaf litter of an emerging iris in my bog garden. 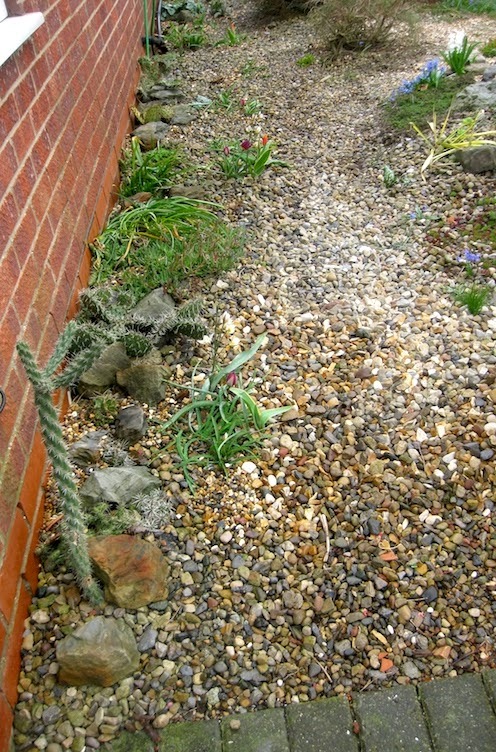 It has ‘well drained moisture’ and is covered by a natural organic mulch. 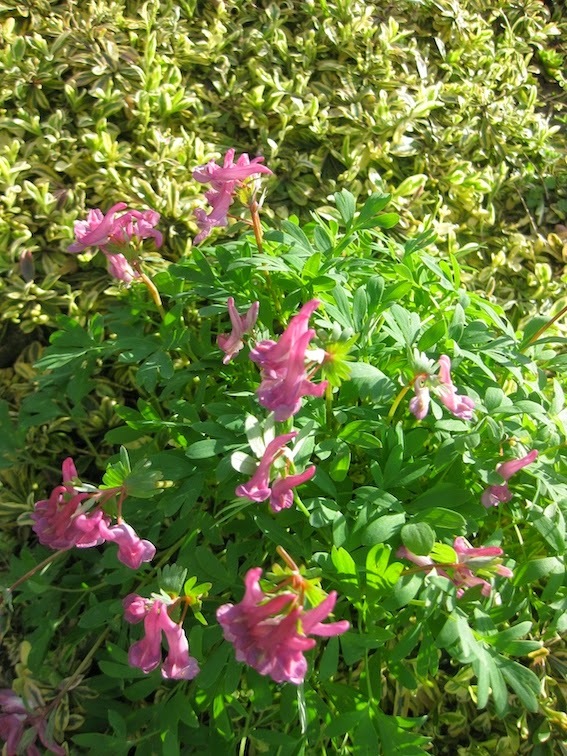 I have cheated with this picture, this is the very similar Corydalis elata. It shows dying rhizomes exposed on the soil surface. 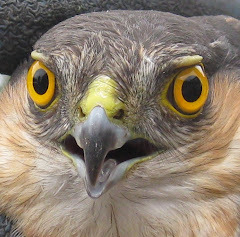 With elata they form in winter and they are usually deeper. It is best to spread a little extra soil over them if they are exposed. Two years ago I did a couple of lectures in South West Scotland where it rains quite a lot and the well drained soil is water retentive. My host had a beautiful clump of flexuosa in the open ground. Later on, on my busman’s holiday, I noticed some at Calley Gardens at the foot of a moist north wall. 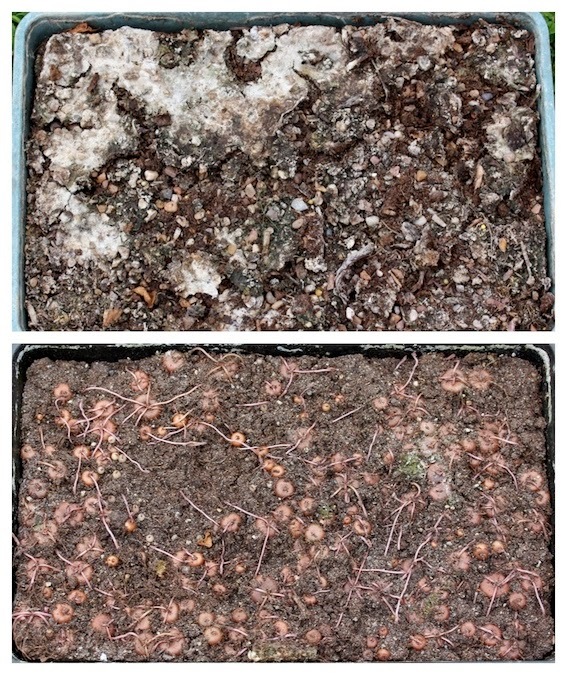 I teased C. flexuosa sprouting rhizomes apart in late December and later published the photograph of a rapidly growing clump at the end of January. I regret to say my plant was rather swamped by the emerging hyacinths that flowered in March. This plant is almost identical to flexuosa but is twice as high and grows well in the open ground and is a normal, easy, long-lived summer flowering herbaceous perennial. 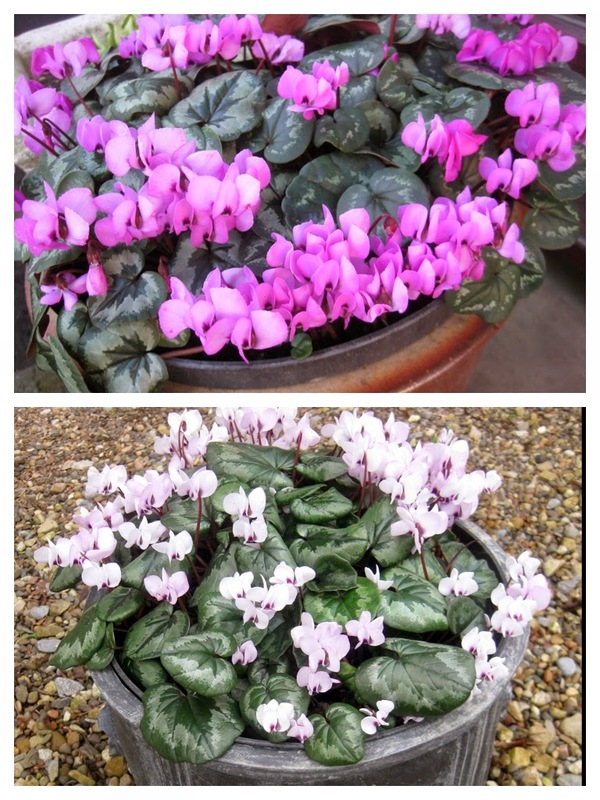 My own are in moist soil and full sun to medium-heavy shade. 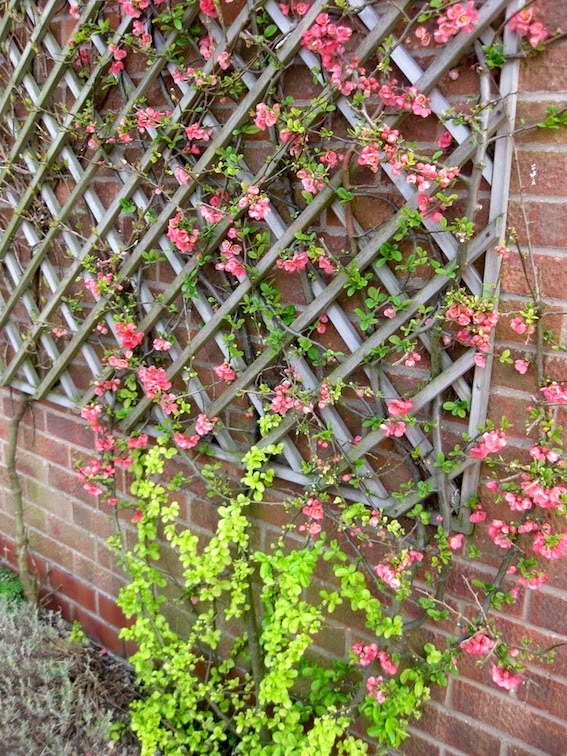 It is a much easier plant than flexuosa but does not have the advantage of flowering in late winter. The book says they may be carefully divided in spring, Is this what they mean? I divide mine with a sharp spade any time I fancy. The hybrid between flexuosa and elata is of median height and flowers well through the summer. The rabbits have tried to help me divide my corydalis but have done no serious harm! I am very fond of all corydalis, it is related to dicentra of which I hold the National Collection. The genus is a much larger one than dicentra, it is genetically close, looks similar but has a much greater range of colour. 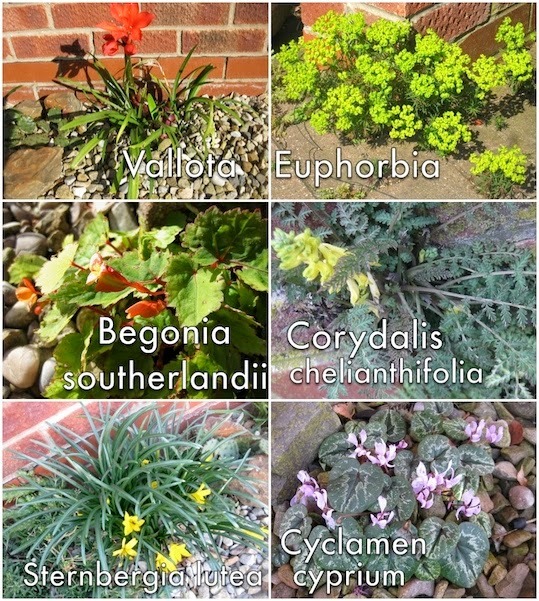 Corydalis may be annuals or short lived perennials and their lifecycle may be dependant on seed or vegetative structures such as tubers, rhizomes and roots. Most of them are easy to grow. Some unfortunately are too easy and seed everywhere. Brenda banned lovely Corydalis lutea from our garden because it seeds too freely. 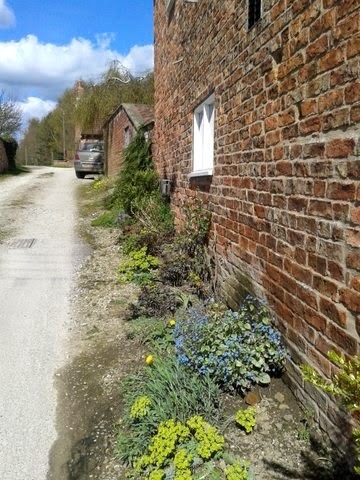 I grow it in Bolton Percy churchyard garden where it loves to seed in a wall! There are many fine named varieties of Corydalis solida available when you buy your Spring bulbs. If they like you and you have freely drained soil they will come every year. 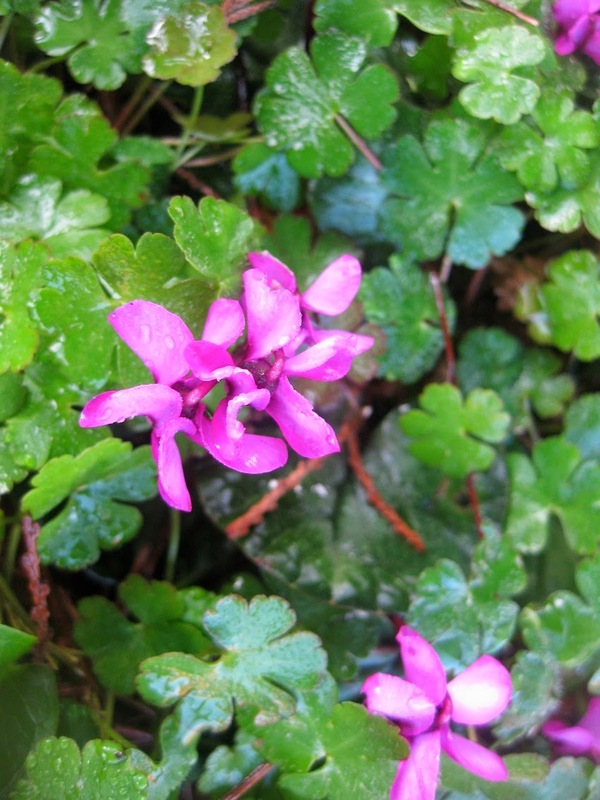 This warm spring, the above pink Corydalis solida has set seed. 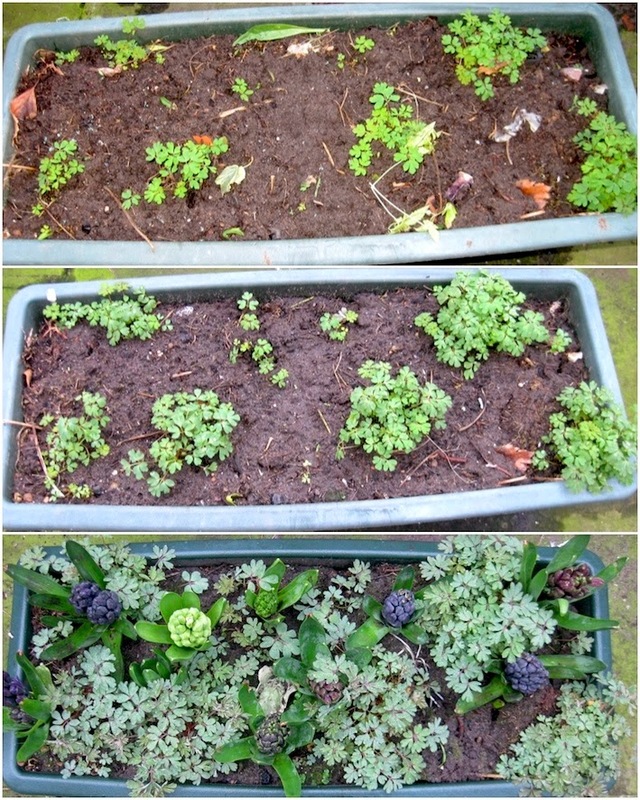 The seedlings will be variable but I am dying to try them! This is the ‘wild-type’ of Corydalis solida collected in a chalky Cotswold garden fifteen years ago where it so liked the conditions it had taken over. 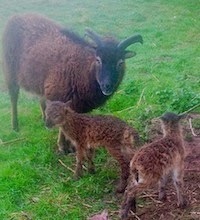 At home it has merely seeded enough to give me a dozen clumps! Corydalis ochroleuca is common, lovely, very free seeding and somewhat invasive. The plant on the label is very rare - if it actually still exists - and looks completely different. 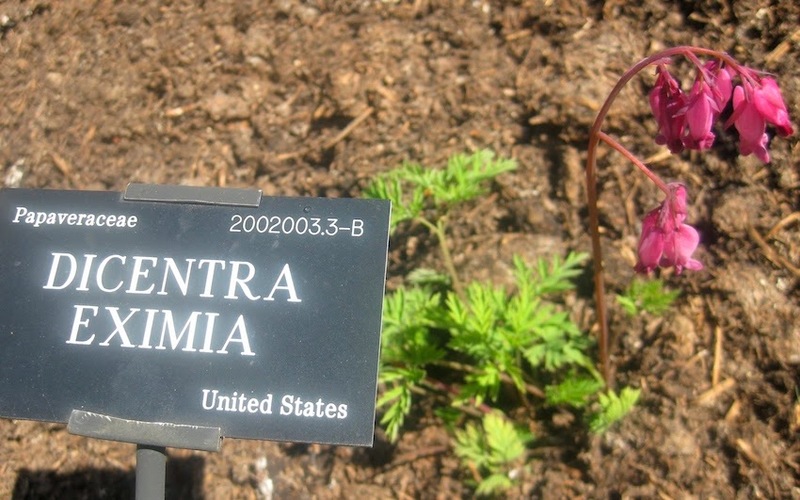 Dicentras are frequently mislabelled in public gardens. I must send them an e-mail. In common with the rest of the UK their Dicentra eximia is actually Dicentra formosa! My own Corydalis ochroleuca seeds everywhere. Brenda would have banned it had she known! Dicentra cucullaria flowers at the same time as Corydalis flexuosa and also likes pots!